I’m very pleased to announce that the new Dusty Brown EP, This City is Killing Me, is now available. I’m even more pleased to announce that Dusty was generous enough to give it to us for free. If you like it (which I am sure you will, just have one listen to “Back to Back” and you’ll be hooked), please consider supporting his music by making a donation. For the uninitiated, Dusty Brown is an insanely talented Sacramento-based producer and musician who, along with his eponymous band, creates a sort of beat-centric clash between raw ambient-electronic and synth-driven indie rock. Dusty got me into the live music scene when I was starting out in Sacramento and over the years we’ve collaborated on all sorts of projects. I’ve learned more about music from Dusty than anyone else; his production style and methods are truly awe inspiring. People who have been following along for a while might also remember that Dusty did all the flash work for both the original versions of the ISO50 portfolio. I’ve really been anticipating this EP so it was great to also be able to create the album artwork for the release. The artwork is based on the photography of another incredible talent from Sacramento, photographer Raoul Ortega. The front and back covers feature various images from this set which Raoul shot with the Canon 5D at Dusty’s Harlow’s show last week. It’s so inspiring as a designer to work with talented photographers; images like this are just begging to be treated and make the whole process such a pleasure. The EP download includes print sized versions of the front and back covers. Enjoy! And please thank Dusty for hooking us up in the comments! Dusty Brown Elliott Smi.. ISO50 Music Exclusive: .. ISO50 Music Exclusive: ..
Great EP so far (playing the 3rd trackas I type)! A free download of this quality is quite generous, and, as expected, impressive artwork. Dusty Brown is now being enjoyed in Salzburg. Keep up the sweet work you guys. I can hear some Portishead influence (especially in the back to back voices), but that’s definitely a good reference. Very nice EP, and great artwork with it. Great way to start the week, thanks! The artwork is beautiful, gonna download this now. thanks for the post. This album art is gorgeous. Thank you thank you! It’s really lovely and a fantastic way to start off the week. Love the colors of the artwork. It’s unfortunate that the top screen looks like a Moog ad… which ruins it for me – only musicians know what a Moog is anyway. Cover art is sick. So simple, but so effective. I like the grid paper overlay. Also, would love to see these at a larger size. Thank you Dusty from Canada! That first album cover is to die for! Damn I wish I would have known about that show. Looking forward to listening. After hearing ‘This City Is Killing Me’ over a year ago, I’ve been waiting for this release. Can’t tell you how great it is to see http://www.dustybrown.com/ back up and running! bring dusty brown to illinois i say! Great Music, Great Artwork, Great Price. Fantastic EP dusty! thanks scott for putting this up here! And thanks to dusty for being so generous. Definitely going to donate! So happy Dusty has put this out there for us all to enjoy. Dusty Brown is truly an unsung hero of underground music, not to mention Jessica Brown’s voice which in my opinion is up there with Elizabeth Fraser and Beth Gibbons. The artwork for this is also incredibly rich, it really captures the mood and vibe of these songs quite perfectly. Great job all around! Cheers Mate. It’s very good. I would love to see the top image as a print. Great EP – lots of inspiring glitchiness and synth work. I really like it after the first listen. Tomorrow comes the real test: My headphones and the train to work. But I’m quite sure it will ace that test aswell. Thank you for sharing great music and great inspiration. Great stuff! Especially This City is Killing Me. Thanks for sharing! Oh my god that’s so good. That reminds me the Chris Clark work. It’s my first comment on this blog. I want to say all my love for all we find here. Good continuation to Scott Hansen, his friend Dusty Brown and their supporters. Greetings from France. Thank you Dusty Brown…the EP is amazing! And the photography is really impressive too. Great work Raoul!!! It is really nice to see an ISO50 collaboration with a great photographer. Scott, the designs you were able to create are unbelievable. I really want to buy a physical copy of this! Vinyl and CD. Please!!!!! THANKS DUSTY & GANG FOR AWESOME TUNES! THANKS SCOTT FOR AWESOME ARTWORK! My summer just got awesome. This is such a delicious treat to my eyes and ears. Thank you both for your hard work in producing this and putting it out for free! Your generosity is absolutely appreciated. The EP is excellent. Keep up the great work! I never understood why people release their free music at audio resolutions like 160kbps such as this. Especially an EP (being short, relatively minor file-size difference). You should re-up this at 320kbps! 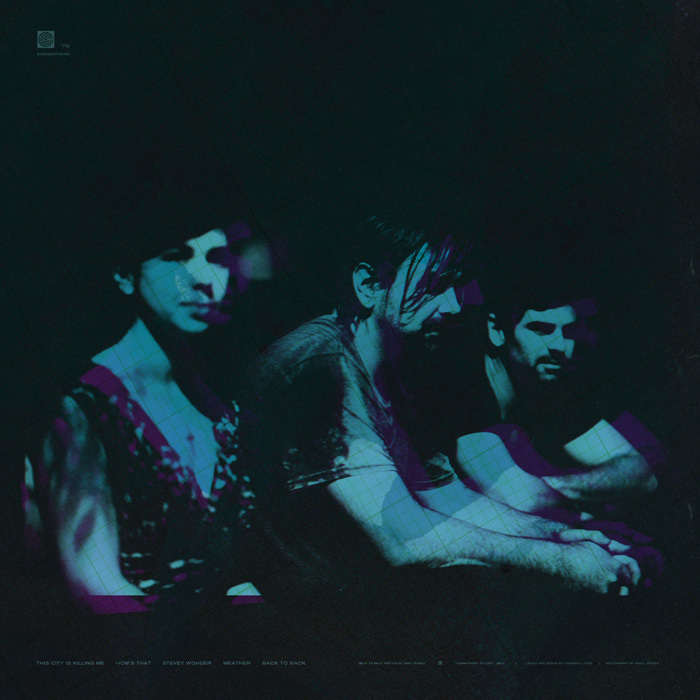 Can’t stop listening to “This city is cilling me”. What a beautiful peace of art it is. Ah, I love this, especially the art work. I always spend some time trying to back-track the work flow, trying to distinguish the different layers, makes every piece of art that little bit more special. LOVE the artwork! very nice Scott. I have some of your old posters here at home, but i have to say that this kind of work is just so much more mature. Love it. AWESOME work with the front cover artwork! The subtle removal of “Prodigy” from the Moog really did a lot for the piece. I haven’t changed my Desktop BG in almost a year, but that image went up first thing. A very grabbing image, for such a lack of elements. I second everybody that would like to see this as an available print. Thanks again for the EP! What a great selection of songs to go on the EP might I add. I am very much enjoying the refined sound on this EP. I remember listening to some of these songs in the past and they are definitely more developed now. Your artwork additions were nice. Although I would have liked to see something a bit more intricate style wise. I felt like if this was a physical release, these would make perfect inside pictures for a booklet. But again its an EP, nice job. Thank you Dusty this stuff is amazing! I’d love to hear some of that music and production advice you’ve been giving Scott! More Music and Design tutorials/tips! Dusty, thanks so much! What a great way to start out the week. ‘How’s That’ is sooooooooo good! What a voice! Very. very awesome to give this away for our happy ears! this is a very good music tanks for sharing with us!…now in dominican republic people is listening dusty brown…a good too blog congratulation! First listen of How’s That I was overwhelmed with loving everything that I heard. True story. Kernit the Font: Ditto!!!! Stevey Wonder is particularly beautiful as well. I really enjoyed this & had a blast listening. I am so happy that sacramento talent is sticking togeather for projects & I am hoping this trend continues to grow. Having grown up in sacramento and now living in nashville I am hoping to see some home town talent out this way soon. Rauol Ortegas uncle ANTHONY RAMIREZ……….. A.K.A. UNCLE A………..
Nice artwork, nice music, the vocals, the bass..
Really progressive sound, and the Album cover is as fresh as stated. thanks for making this available! i’ve only ever heard db live so it’s nice to be able to listen to their songs in between shows! and now they posted “can’t make a sound”! I just listened to this EP for the first time this morning and it is phenomenal. It’s been on “repeat” ever since. Thanks, Dusty! Thnx for this great music! 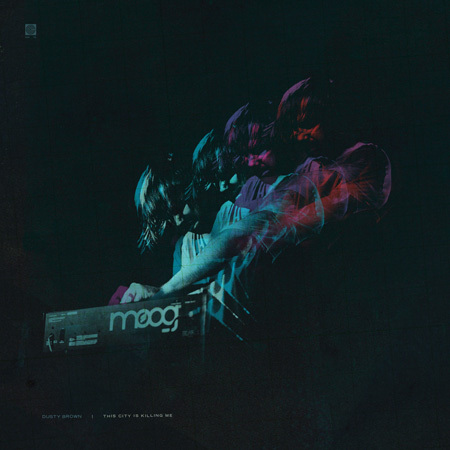 Pleeaasseeee make that dusty brown on the moog artwork into a tshirt. i need to wear it immediately otherwise i will lose my super powers. this really is a fantastic ep…i listen to “stevey wonder” maybe 5 times a day. just wanted to say thanks for the links cuz apparently the site has been hacked or reported as such and google blocks it with that “this site may harm your computer” screen. hopefully we’ll hear more from the brown collective soon. truly inspiring. I’ll take this one for a walk in the cold swedish winter for sure!